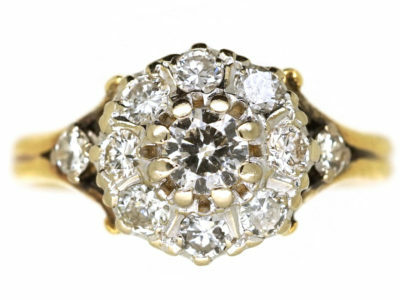 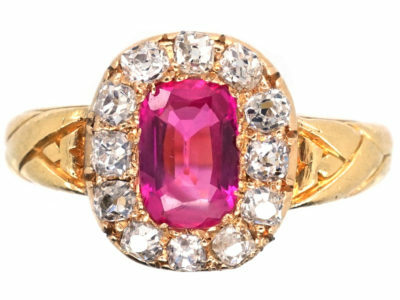 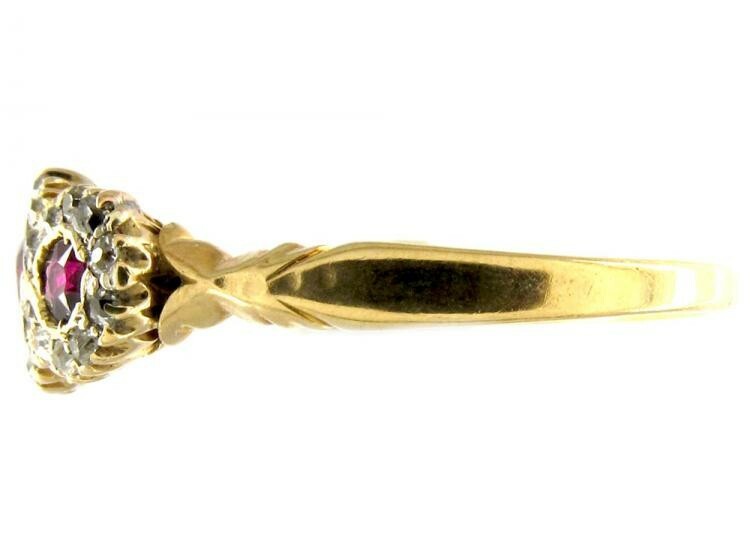 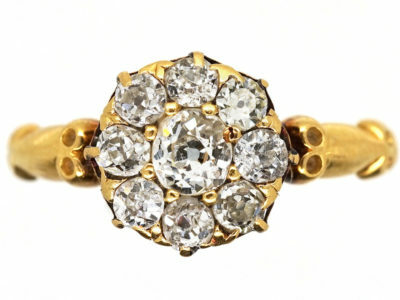 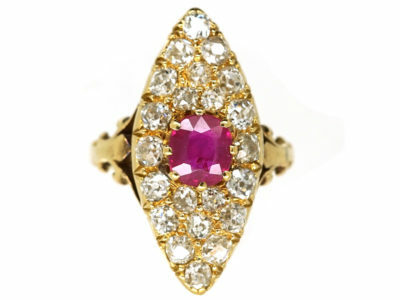 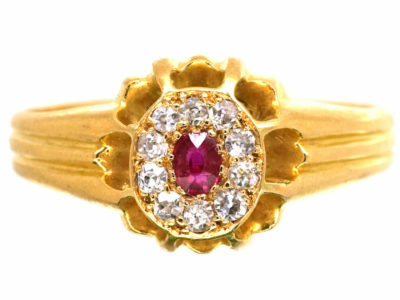 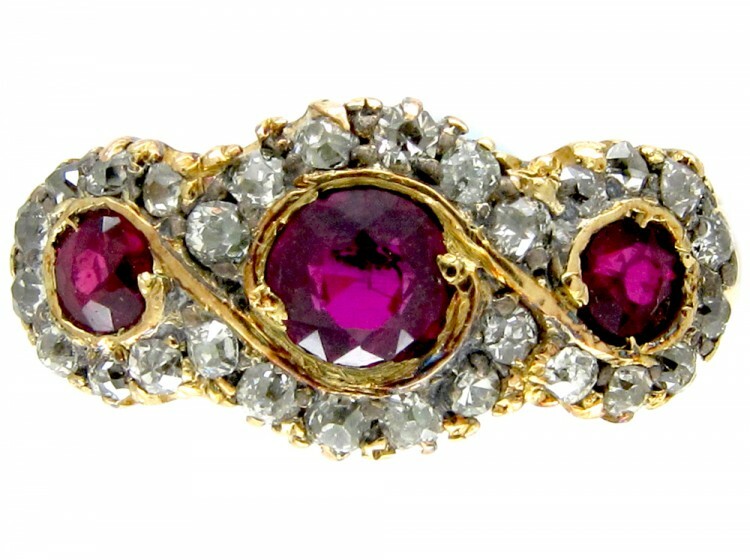 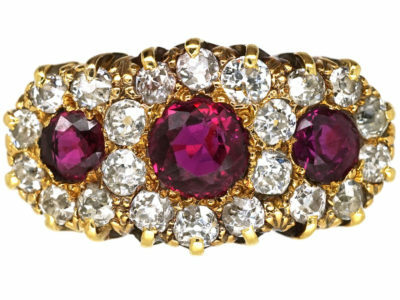 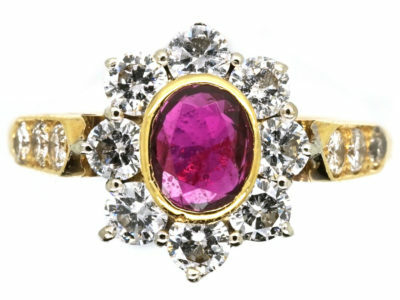 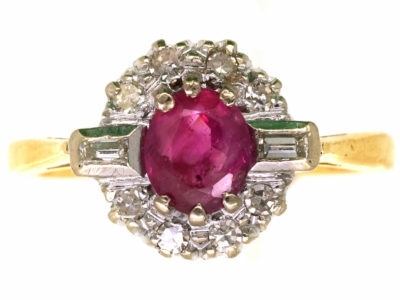 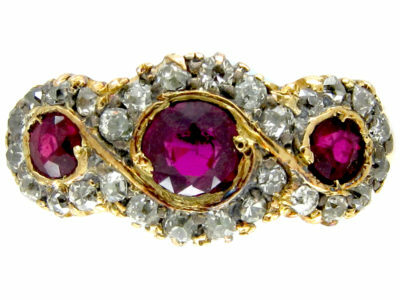 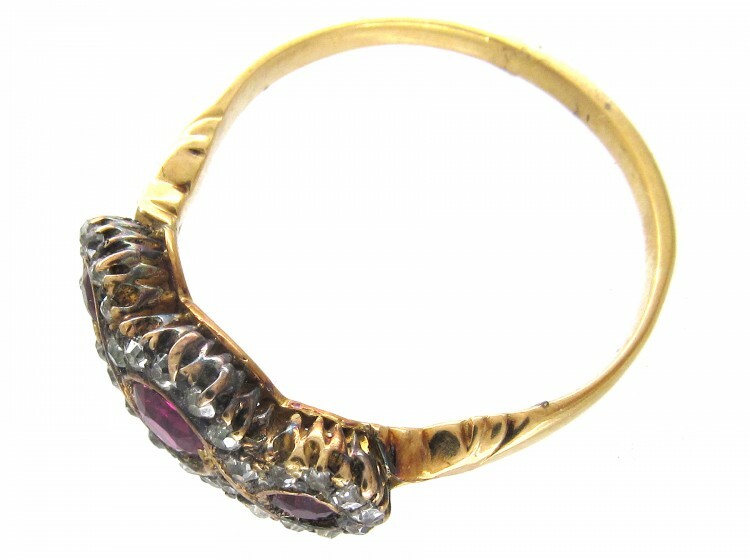 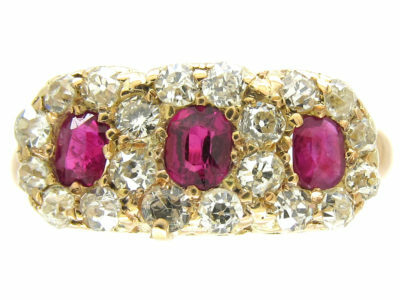 An 18ct gold Ruby and Diamond triple cluster in good condition. 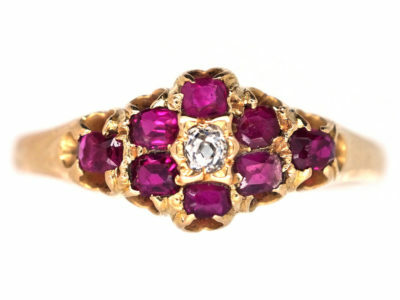 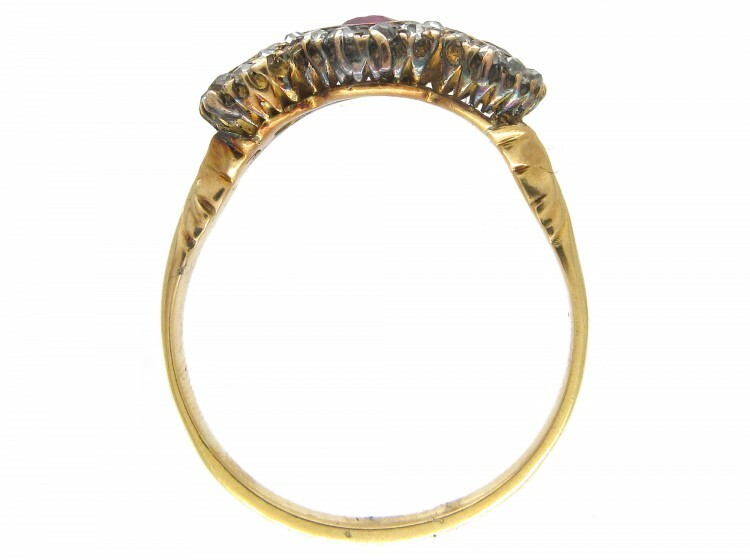 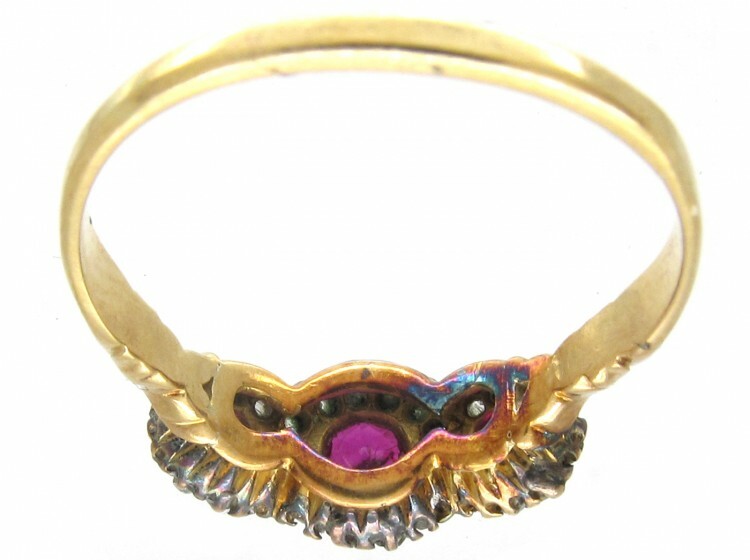 The old mine cut diamonds sit beautifully next to the well matched rubies. 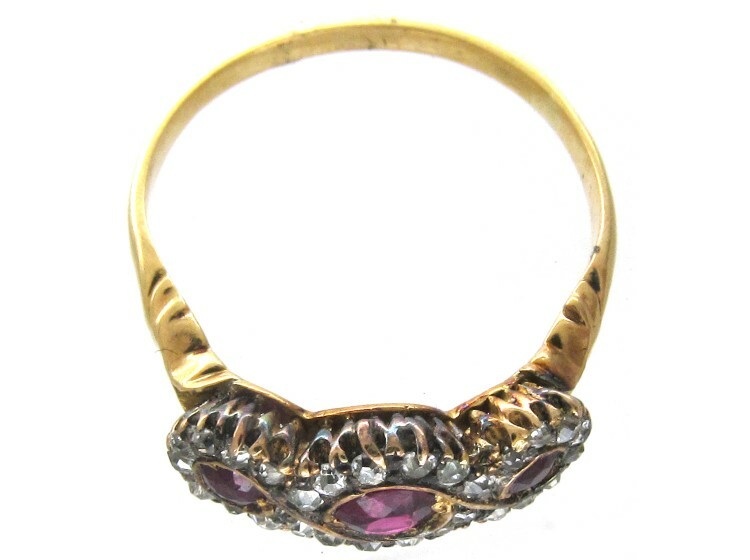 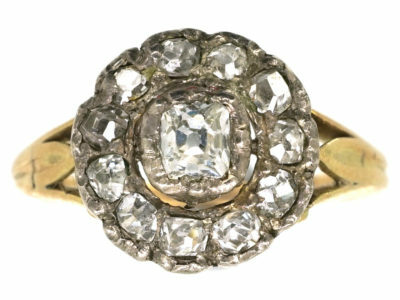 It was made around 1900-1910. 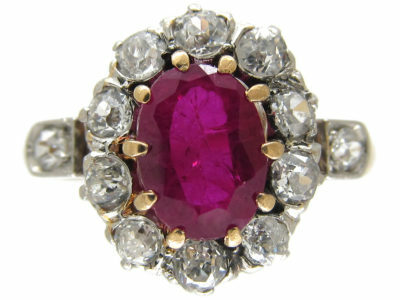 At present the ring is large but can easily be re sized.